Yang Jiechi, a member of the Political Bureau of the Central Committee of the Communist Party of China and director of the Office of the Foreign Affairs Commission of the CPC Central Committee, read Xi's letter at the inauguration and delivered a speech. Yang said the China-Africa comprehensive strategic cooperative partnership has been deepening in recent years. The two sides are committed to working together to create new growth poles for people-to-people exchanges, including think tank cooperation, and actively carry out exchanges of experience in state governance and development. 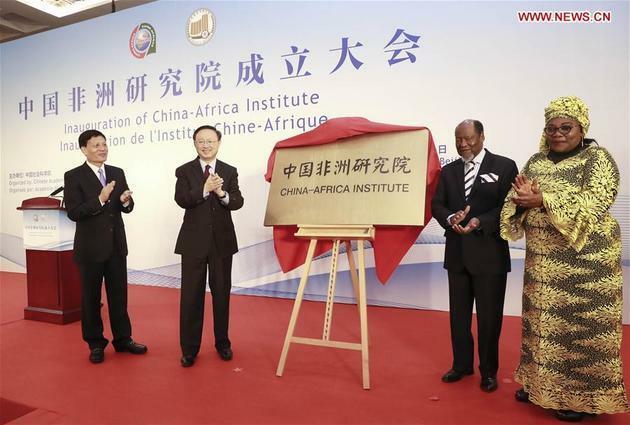 The China-Africa Institute should seize the historical opportunity, offer ideas and suggestions for China and Africa to better dovetail their strategies and build a higher level of their comprehensive strategic cooperative partnership, and make positive contributions to building a closer China-Africa community of a shared future, said Yang.